Formed in 1974 by students at the Royal Academy of Music under the guidance of renowned quartet leader, Sidney Griller, they rapidly achieved national recognition, and were appointed Quartet-in-Residence by the University of Warwick in 1977, a post which they still hold today. The Quartet, which includes two of its founder members, has performed and broadcast extensively throughout the UK, and has made tours of Western Europe, the Americas, Australia, China, India and the Far East. Their impressive and unusual list of commissions includes works by Sally Beamish, Edward Cowie, Joe Cutler, David Matthews, Nicholas Maw, Robert Simpson and Howard Skempton. These include string quartets, quintets with piano or wind player, works with solo voice or choir, and even a piece for quartet and table tennis players! wide-ranging role that includes: giving an annual series of concerts at Warwick Arts Centre, acting as ambassadors for the University both here and abroad, and encouraging the musical activity around the campus alongside the University’s Music Centre. Campus activities encompass chamber music coaching, instrumental lessons, conducting the University’s String Orchestra and collaborating with faculties such as Physics, with whom for the past three years they have taken part in a 'Science of Mousic' module. They have also worked with the departments of English, Mathematics and Philosophy, an example being a recital and discussion as part of Professor Lydia Goehr’s Visiting Fellowship in January 2011 on the ‘Figure of Four’ in music, painting, literature and poetry. Our ‘Beer and Beethoven’ late night concerts for students are proving popular and we have initiated two scholarships to support talented string players who wish to develop their musical skills whilst studying at the University. 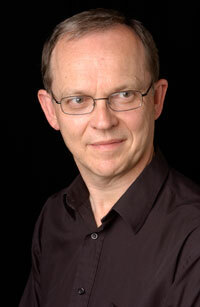 The University has generously supported our commissioning and recording work for many years and our latest project, ‘Beyond the Lyric’, featuring new music by the composer Sally Beamish written in response to the work of the poet Fiona Sampson, is a collaboration that seeks to explore the common language of music and poetry. Our New Music 20x12 award for the Cultural Olympiad involved working with the University’s Sports Centre for the first time, and assisting them in welcoming teams from across the world as they visited Warwick to take part in the 2012 Olympic Games football tournament. The Coull Quartet was appointed Quartet-in-Residence at the University of Warwick in September 1977. What exactly does being Quartet-in-Residence involve? - A question we are frequently asked, and one to which we are able to provide a well-rehearsed answer, but it is more difficult to explain the concept behind this rare relationship between a leading academic institution and a self-contained musical ensemble. Whilst the Quartet’s role at the University has changed slightly since our appointment in 1977, we continue to give an annual series of concerts at Warwick Arts Centre (that’s around 170 concerts in all!). We also teach many promising string players and chamber ensembles and coach, direct and often play in the various University orchestras. But one of the most rewarding aspects of being ‘Quartet-in-Residence’ comes from being truly involved in the life of the University - we enjoy giving other performances around the campus, ranging from informal ‘play-throughs’ for staff and students, to private performances for VIPs and invited guests. One advantage of a string quartet is that it is able to perform in almost any space, and these more intimate occasions can be especially memorable. We also take our ambassadorial role very seriously and have developed links with a number of educational institutions ranging from primary schools to music colleges both locally and further afield. We enjoy coaching talented schoolchildren at home and abroad and always encourage them to make the University of Warwick their first choice. Warwick has an enviable reputation for recreational music-making and, although there is no academic music department, the standard of performance is often very high. Some of the most exceptional musicians move on to music college after obtaining their degrees at Warwick. Why are we still at Warwick after over forty years? I think we feel very much at home in such a positive environment and certainly our enthusiasm for providing encouragement and inspiration to the students remains undiminished, as does our love of performing the unsurpassable (in our view!) string quartet repertoire. We are, of course, extremely indebted to the University of Warwick for their loyal support, which has enabled us to pursue and achieve many of our goals. We have seen enormous changes over the years, and when we arrived to take over the post from the Fitzwilliam Quartet (in residence from 1974-1977), the Arts Centre’s professional concert series was fairly modest, mainly due to the lack of a suitable concert hall. (The Butterworth Hall opened in 1981). 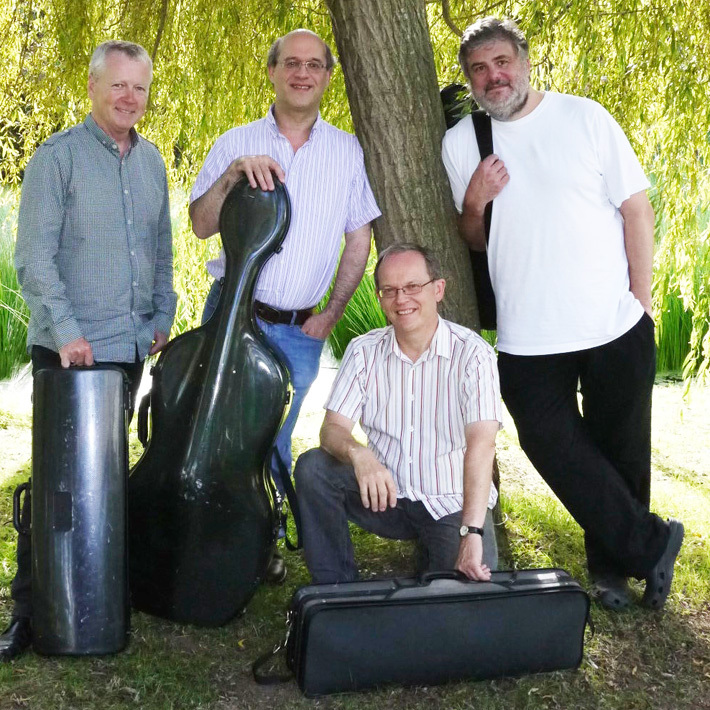 Today, Warwick Arts Centre is an important and successful concert venue, and the Coull Quartet’s series remains the main chamber music ingredient of an exciting and varied programme. We have seen a few changes in the Quartet too: Jonathan Barritt (viola) is our newest member, whilst Nicholas Roberts has been with the group for eighteen years. Roger Coull and I are founder members of the Quartet, which had been together for three years before being chosen to take up the residency. I was twelve and seemed to take up another interest every week, i.e. cycling, collecting coins, collecting newts, orienteering etc. My parents were convinced that this would be another flash in the pan, but somehow it stuck. 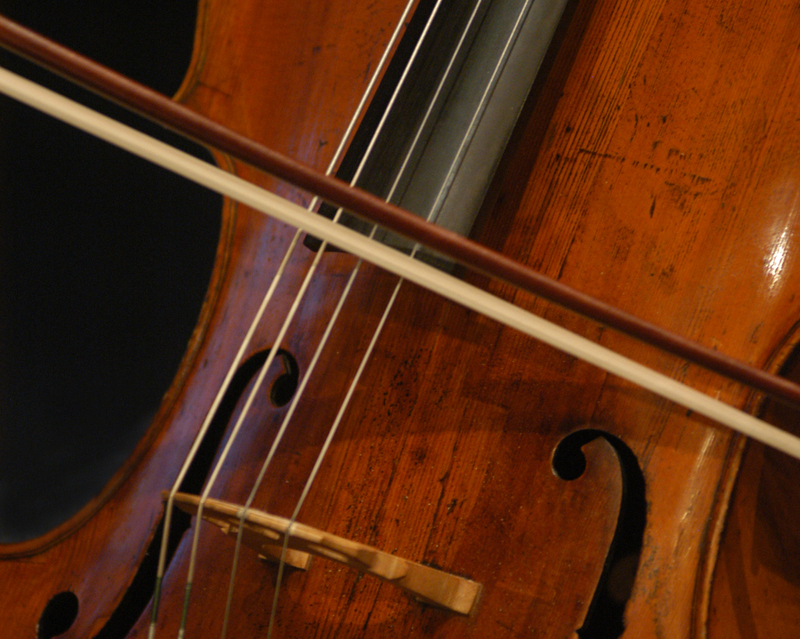 How did you first become interested in chamber music? When I was sixteen I was playing a lot of orchestral music and had the opportunity to go to Germany on a music course. It was mainly orchestral but also included some singing and chamber music. I was fortunate enough to be put into a group which was to play Schubert’s quintet in C (with two cellos). Although the performance was a little rough and ready the whole experience was so wondrous for me that I decided that if I did not become a quartet player it would not be for lack of trying. How did you form the Quartet? When I was a student at the Royal Academy of Music there was the option of chamber music coaching from one of the finest quartet players of his generation: Sidney Griller. Needless to say I enrolled in his class and formed a quartet. After about a year Sidney encouraged me to think seriously about forming a quartet which would aim at going professional. Having deliberated for all of half a second I went about the process of finding like minded students and in 1974 formed the Coull Quartet. Was it plain sailing from the beginning? We worked very hard and decided to put on a lunchtime concert at the Academy, playing one of Mozart’s hardest quartets: K590 in F. We were all desperately nervous but it seemed to start reasonably well and then disaster struck, our cellist’s spike slipped! In hindsight it was probably quite amusing for the audience as our cellist chased his instrument around the platform with three hangers-on, but at the time for us it was panic stations. Apparently there is a tape of the performance somewhere with the last movement setting an all-time speed record! You normally introduce the concerts, why do you feel this is important and what kind of things do you talk about? Audiences like to feel that performers and composers are human - there are plenty of interesting and amusing anecdotes about both! I think a little bit of chat before each piece helps to get the audience in the right frame of mind for the music they are about to hear. What was your most embarrassing time in the Quartet? There have been a number! One was when my bow broke just seconds before the end of Schubert’s "Death and the Maiden" quartet. The other three members of the quartet, needless to say, carried on to the end. Another was when, during a tour of Italy, we marched purposefully onto the stage, with big smiles, to find that the audience was standing in silence, heads bowed, in memory of a committee member who had recently died! Which are the most challenging works you have played? Bartok 5 is quite a daunting work, with rhythmic complexities, technical difficulties, and the sheer concentration required. The Brahms quartets seem musically challenging, as do certain movements in the late Beethovens. How does the quartet choose its repertoire? A combination of factors - we try to perform as much of the standard repertoire as possible, as well as works we have been specifically asked to play by promoters. We try to avoid pieces which any of us have a strong dislike for, but there are very few of those. As a very versatile artist, Jonathan has managed a varied career and is much in demand as a soloist and chamber musician both in the UK and abroad. He has subsequently worked with most of the London Orchestras and has guest led the London Symphony, London Philharmonic, Philharmonia, London Mozart Players and BBC viola sections. 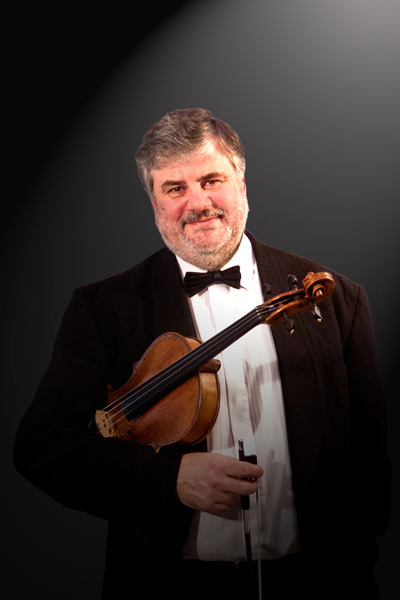 He has worked with many chamber groups including Capricorn, Divertimenti, Raphael, Gaudier and Primavera ensembles and has given Quartet concerts with William Pleeth, James Galway and Kiri Ta Kanawa. 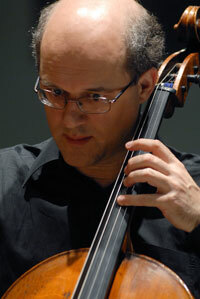 In 1995 Jonathan left the English Chamber orchestra to join the Allegri String Quartet. After six years with the quartet he returned to the ECO as principal viola. 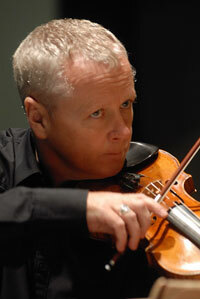 He is a professor of viola at the Royal College of Music and the Junior Academy of Music. Do you find it musically restricting being in a full-time quartet? The repertoire is so vast, and so many composers have written some of their best works for the medium, that I can't imagine ever feeling stale and in need of a change. It also helps that I spent twenty years performing with most of the top UK ensembles and orchestras, and covered virtually every area of classical, baroque and contemporary music, and I feel as if I have 'come home' to quartet playing. What for you is the most satisfying aspect of quartet playing? I simply can't think of a better 'job' than studying and playing the late Beethoven Quartets without some ghastly conductor getting in the way! To be in control of, and to be able collectively to develop our interpretations of great music over many years is a rare luxury. It is thought to be made by Grancino in Milan circa 1700. 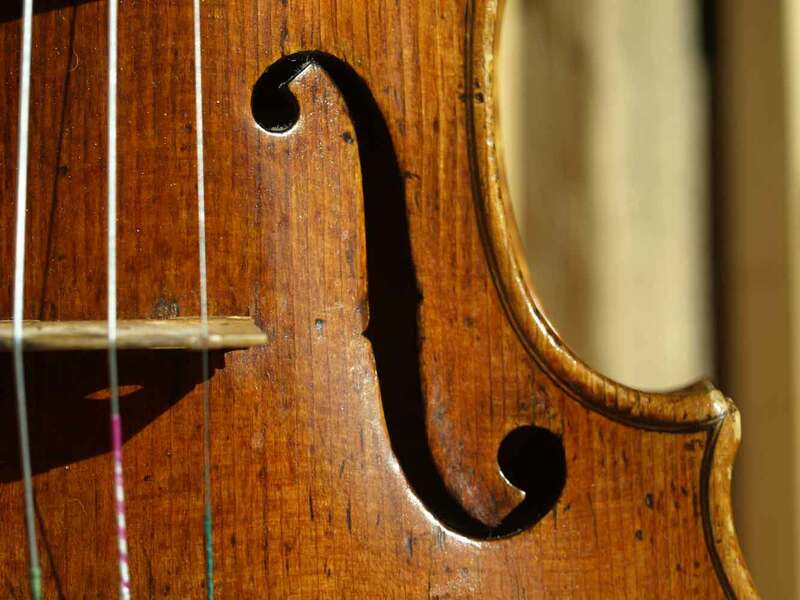 It was brought to this country one hundred years later by the virtuoso cellist and teacher Francois Servais who sold it to the first Lord Ribblesdale of Gisburn in Lancashire as an Amati. By the simple expedient of glueing a forged Amati label inside the cello Servais would have achieved a far higher price from Ribblesdale than if he had sold it as the work of the lesser-known Grancino. 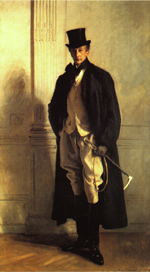 I possess a letter regarding the "Amati" cello from the fourth Ribblesdale who was the subject of the well-known and wonderfully austere portrait by John Singer Sargent pictured.